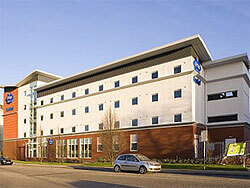 The Etap is a relatively new hotel located towards the back of Cardiff city centre. Etap hotels are budget hotels so don't expect a lot of frills for your money. However, with prices as low as £35 for a 3-person room, you are hardly likely to grumble. Each room can accommodate up to 3 people. Each room has a shower, toilet and satellite TV.